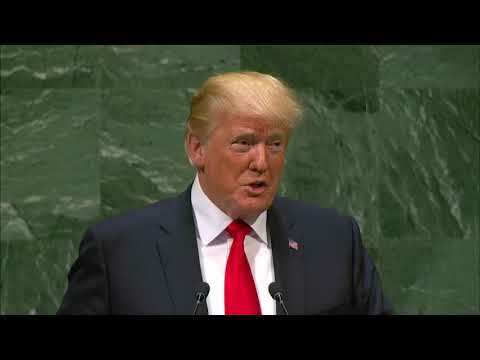 UNITED NATIONS (AP) — President Donald Trump got some laughter when he addressed world leaders on Tuesday. It wasn’t intentional. The president was highlighting U.S. gains under his watch as he opened his address to the U.N. General Assembly. He said the American economy was “booming like never before” and that his administration has accomplished more in less than two years than almost any other administration. A little further into his speech, German diplomats appeared bemused by Trump’s latest swipe at their country as he reiterated his criticism of Germany’s planned undersea gas pipeline from Russia. After the president’s warning that “Germany will become totally dependent on Russian energy if it does not immediately change course,” cameras showed German Foreign Minister Heiko Maas gently shaking his head, while senior diplomats smiled. Some in the audience also grumbled during Trump’s remarks when he said “we reject the ideology” of globalism. When Trump criticized socialism, a member of the Swedish delegation frowned with disapproval.